Twice a week, Making A Mark gives an insanely talented artist some IADW brag-space. 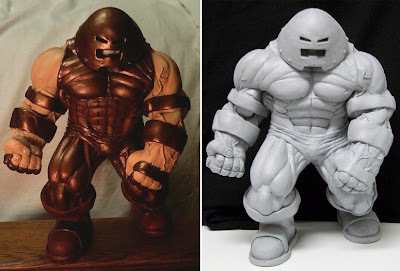 Today changes tack a bit and goes to Chris Epting, an American sculptor who influenced by the likes of Dale Keown has taken to moulding out some of the biggest bruisers in the business, starting with the good ol' Juggernaut. What's even cooler about Cain Marko there (or as Chris calls him "The Juggernaut B!tc#! 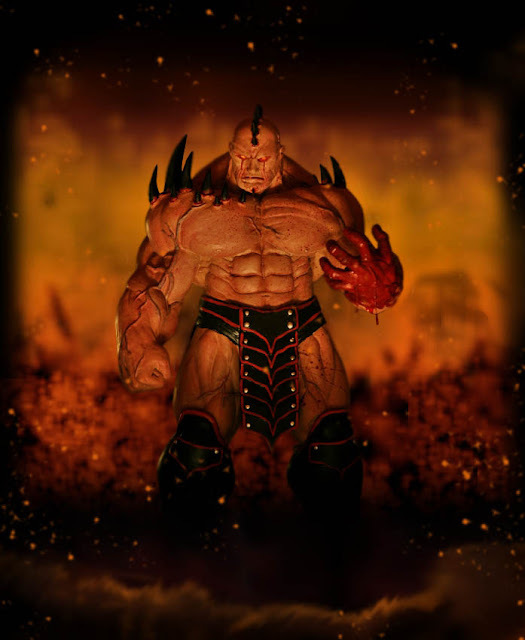 "), is that the helmet actually comes off to reveal an equally well-sculpted head and face. Plus it's 10 inches tall - hot damn! 'Now if only he had someone to fight' you say? Well how does The Hulk (at almost a whopping 20 inches tall) sound? 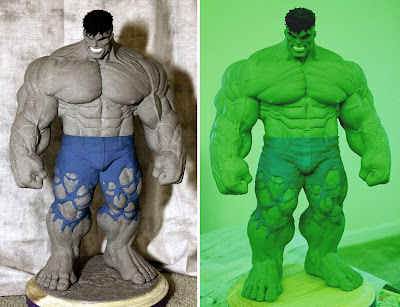 For me 3D sculpting is a whole other level of talent. It must make you think about things the 'eye' of 2D illustration never has to consider or tackle, but boy looking at Chris's gallery do the results pay off. Luckily Epting's talents aren't all spent on established characters. Check out this finished sculpt of his personal creation Spatha. Now that's someone you don't want to cross! For more sweet sculpts as well as a complete range of work in progress developments, visit Chris's online gallery after the jump! Amazing scqulptures, both Hulk and Juggernaut. Istill like the grey hulk more. I'd wish I'd seen Cain Marko's face. Thanks Aliera! To see the face just click the jump. I think the face photos are on page 4 of the quick links.